ReceptionHQ is an answering service provider for small businesses and entrepreneurs. It enables users to hire virtual receptionists to screen incoming calls, forward phone messages, and manage appointments. In this review, we compared its available pricing options. As of the date this article was written (09/05/2018), there are no up-to-date user reviews of ReceptionHQ online. If you are a past or current ReceptionHQ customer, leave a review to help other small business owners who are deciding whether or not to use their services. ReceptionHQ offers two types of five-tiered subscription plans, both billed monthly: ReceptionistPlus (prices range from $15 to $250/month for call volumes of up to 200) and MyAssistant (prices range from $40 to $625/month for receptionist minutes of up to 500). The main differences between the plans are its target consumers and access to additional services. The ReceptionistPlus and MyAssistant plans include basic features such as 24/7 live call answering, customized greetings, call transfers and messaging, as well as access to ReceptionHQ’s online portal and mobile app. However, the MyAssistant plan provides users with extra services such as appointment scheduling, detailed answering based on the client’s requirements, and CRM and workflow integration. Additionally, ReceptionHQ charges a $0.50 flat rate for call transfers to mobile phones and landlines. Users who exceed the monthly call volume or receptionist minute limits will be billed on a per call or minute basis, depending on the plan. ReceptionHQ also offers customized pricing for companies requiring higher call volume requirements and specific virtual receptionist services. Check out the list below of some of ReceptionHQ’s features. Will ReceptionHQ provide users with a new contact number? Yes. ReceptionHQ dedicates an exclusive number to each client that can be used for business communications. Users can also opt to utilize their existing numbers, where all incoming calls will be diverted to a ReceptionHQ virtual receptionist. Can users upgrade or downgrade their ReceptionHQ subscription anytime? Yes. Users can opt to change their subscription to a lower or higher plan at any time by contacting ReceptionHQ’s support team. How long will it take for ReceptionHQ to complete the set-up process for new subscribers? The set-up process will only take several minutes to complete. Once done, new subscribers can immediately divert incoming calls to ReceptionHQ. This video provides a quick overview on ReceptionHQ’s features and services. 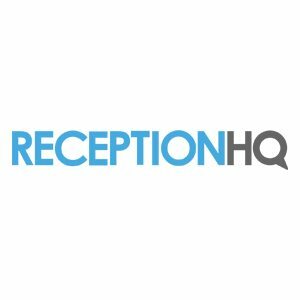 Not sure if ReceptionHQ is the right fit for you? Read our reviews of all top answering service providers or check out one of these three ReceptionHQ competitors.